We are primitive in our methods, and the nervous system is a mystery. 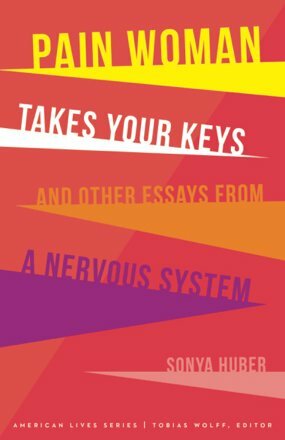 Pain Woman Takes Your Keys and Other Essays From a Nervous System, Sonya Huber (University of Nebraska Press, 2017). 177 pp. $13.37. 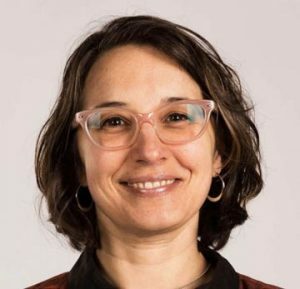 After a divorce and well into single motherhood, at thirty-eight, she contracted an autoimmune condition in which the thyroid slowly erodes. Within three months of that, she felt her skeleton “pulsing.” A new bodily self-sabotage—rheumatoid arthritis. As Huber points out, autoimmune diseases are when the body attacks itself, for largely unknown reasons. She endures constant joint pain—the main effect of her particular arthritis—along with whole-body aches and odd effects. 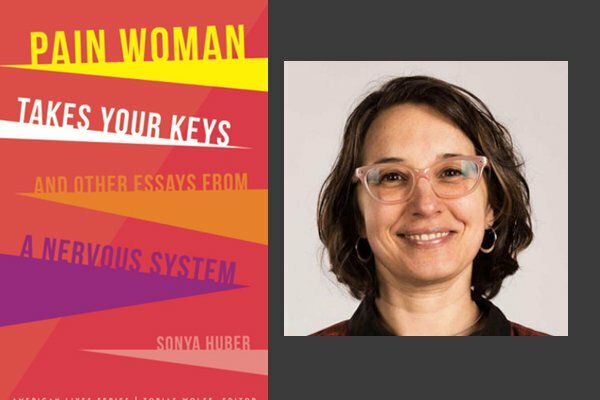 Woven through Pain Woman Takes Your Keys is her effort to accept and make sense of her suffering. Gilbert: Why did you write this as essays instead of as a straight narrative memoir? Having said that, these essays are so linked they are virtually chapters, and they deepen and they extend each other. There’s a progression in both time and disease/life stage. So do you think of this as a kind of “memoir” in the usual sense, even though the pieces are also discrete? And it’s called “essays” in its title. But it’s a stealth memoir, I’d say. Your structural approach has such intent behind it, and I wonder if you’d talk about that. Huber: When I started writing about pain, I knew that I didn’t want to write a narrative. Pain itself feels like it disrupts my sense of chronology—it almost lifts me out of time. Because I have told the story of my illness to doctors so many times, that chronology feels sort of numb and less interesting to me, and the timeline feels depressing, too, because there’s no cure or ending in my situation. I wrote these slices of my life with pain to offer a kind of escape and even a sense of play and delight for myself as the topics occurred to me. Gilbert: How in the world did you write such a beautifully crafted and deep book so fast? Were you writing it after five years with your autoimmune diseases? You seem impressively quick even if you started writing three years in. Could you discuss the nuts and bolts of your process, of making this kind of art from your life? Huber: Thank you! I wrote the first piece at the end of 2014, so I had already been sick for over four years at that point. Until then, I wasn’t writing much about pain—although I was reading about pain and venting about it in my journal. The funny thing is that I was working on a different book project (a memoir) while I was writing these essays, and that book project felt really difficult. So I would “play hooky” on days when I couldn’t tackle the memoir and write about pain. The pain essays felt like recess, because I did not envision them as a collection. In a way they were a place for me to play with language and a way to make something pleasing or interesting out of a situation that I often frankly fight with a lot. Gilbert: You portray one screaming meltdown. You’re at a low point, hardly able to believe what’s befallen you, and you drive hours to a specialist who can’t or won’t help you. Your raging despair in his parking lot is breathtaking, scary. It’s a departure from your largely quiet, thoughtful suffering. It really drove home your pain, loneliness, fear, and hopelessness at that point. But were you worried about readers not accepting this honesty? That is, in creative-nonfiction terms, of not accepting your persona because of the way writers of nonfiction are judged in a way fiction writers aren’t? Huber: This is so interesting as a question—and it’s weird, I guess, that I never worried about it, as I always worry about my persona and how readers might view me. But in this case…this was one of the clear signpost events in my life that I never doubted writing about. I was so outside of myself with fear and anger that the event feels very objective, like a mystery or a monument I had to describe. In a way I can see that an alternate ordering of the book would lead up to this crisis, after the reader would get to see me as reflective and calm. But in real life that’s not how it feels. It feels like pain dropped into my life like a bomb. I guess I hoped that the reflection and language itself in the essay up until the crisis would make some of the readers trust me. And those who were going to be judgmental about a breakdown in a parking lot definitely would not want to read further. I never wanted to write a book—or even an essay—in which I might describe pain as less than overwhelming, as that doesn’t do justice to either the pain experience or to the many other people with pain. I guess I offered my reliability as persona as a sacrifice. Gilbert: I found it interesting that Buddhism’s lessons and tools suffuse this book. The penultimate essay, “Between One and Ten Thousand,” presents your ongoing Buddhist learning and practice. And thus Buddhism seems to resonate through the last essay, “Inside the Nautilus,” a tour de force of inquiry and reflection into official pain scales. How did you decide to do so much implicitly instead of writing straightforwardly, maybe near the start, about your spiritual path? And was it a preexisting condition, as it were, to your ailments? Huber: Oh thank you so much about that last essay—it’s one that’s close to my heart. Yes, Buddhism was a pre-existing condition. I’ve been practicing since 2004, after my son was born. So I am very lucky that I had a few years of meditation under my belt by the time pain hit, as meditation, among other supports, have all helped me get through days of pain. I think Buddhism sort of permeates rather than announces itself because the spiritual practice itself doesn’t offer a drastic change or an epiphany. It’s just another way to inquire. In many ways I think meditation made these essays possible. Buddhist monks in Tibet and India have a practice of going to charnel grounds, places where bodies were decaying above ground in order to look at the corpses and to study their own revulsion and resistance. Thinking about these things—the practice of watching my own struggle with my reality—gave me the support to describe an experience that for many is a bit repulsive. Gilbert: Your work underscores how far as a society we are from truly treating those in pain. I am thinking both in terms of pain management and in treating them with respect and compassion. Why do you think this is so, when there’s so much suffering? At the same time, America is said to have an opiate epidemic from some doctors’ laxity or corruption. Has that clouded the issue? Huber: This is such an urgent and complex question, and it connects to the previous question in terms of our clear revulsion toward pain as a society. We don’t like pain—well, no one does—but in the United States, suffering is still often ascribed to character weakness. Calvinism, the Protestant Work Ethic, capitalism—all these systems tell us that we get what we deserve, and that we can make our lives better through individual effort. Effort is important, but we have a mythology that individual striving can erase all suffering, which is clearly not true. Pain is still, on some level, seen to be either psychosomatic, something having to do with age, or something related to a weak constitution. And pain of women and people of color is assumed to be exaggerated and not that urgent. So we’re often deluded about suffering. We can’t even look at it to examine it.